GenCyber Camp will be held from July 13 - 17. 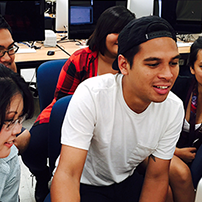 (Honolulu) – Approximately 60 Hawai‘i high school students will participate in a week long GenCyber Hawai‘i camp starting on Monday, July 13, 2015. These camps are designed to educate and excite high school students about career pathways in cybersecurity and to strengthen the cybersecurity knowledge base of high school teachers in the State of Hawai‘i. The media is invited to a special recognition ceremony on Friday, July 17, 2015. Captain Cliff Bean, Commander of the National Security Agency Hawai‘i will be the keynote speaker. 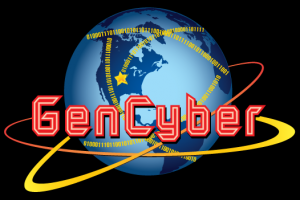 "GenCyber" is a new partnership between the National Security Agency (NSA) and the National Science Foundation (NSF) to teach young people about cybersecurity. The Pacific Center for Advanced Technology Training (PCATT) and the Computing, Electronics & Networking Technologies program at Honolulu Community College will host the inaugural Hawai‘i camps in partnership with the Hawai‘i State Department of Education and the University of Hawai‘i System’s Information Technology Services division. “Growing the interest in STEM education, especially in cybersecurity, is not only good for the government, but the right thing to do for the State of Hawai‘i as cybersecurity is growing exponentially in the commercial sector," shares CAPT Bean.